Spring has finally arrived!!! Hope everyone is as happy as we are at the blog for the oncoming of spring! 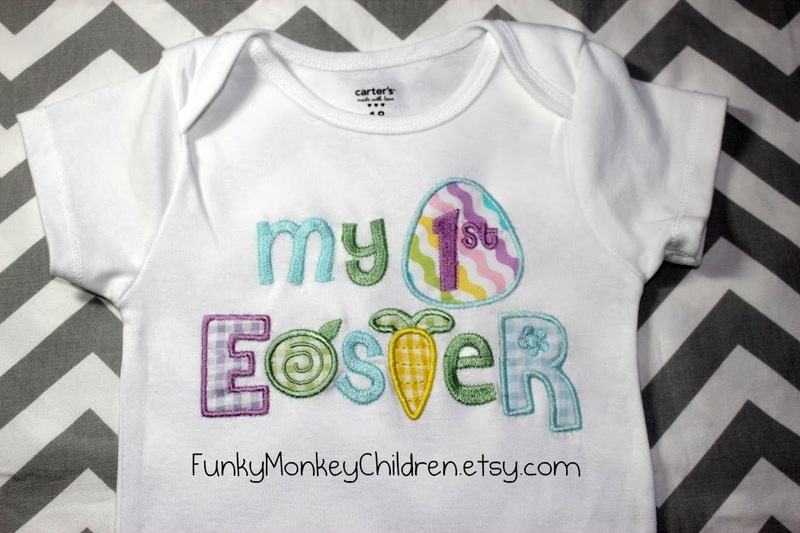 It’s very fitting that our featured crafter, Laura, dresses up the babies in our life to be stylish and colorful – especially for the upcoming Easter holiday. I am moving to Latin America soon. 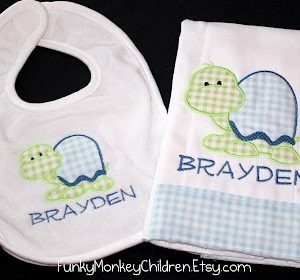 I have a 2 month old daughter and a 17 month old son, and I wanted to make adorable and unique items for them to wear and use. 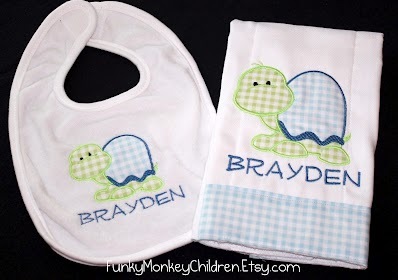 I found that many places lack cute baby gifts for boys, so many of my designs are more focused toward boy babies and boy designs because the market seems to be lacking. 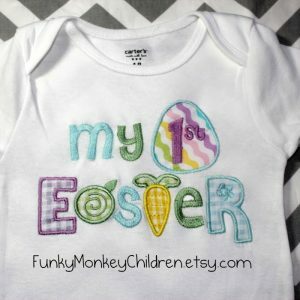 I recently have been working on Easter designs, and I made a customized My 1st Easter onesie for a customer. I enjoyed working with her to get all the colors she wanted (and none that she didn't!) and get it sent off for her little boy's first Easter to coordinate with his big sister! 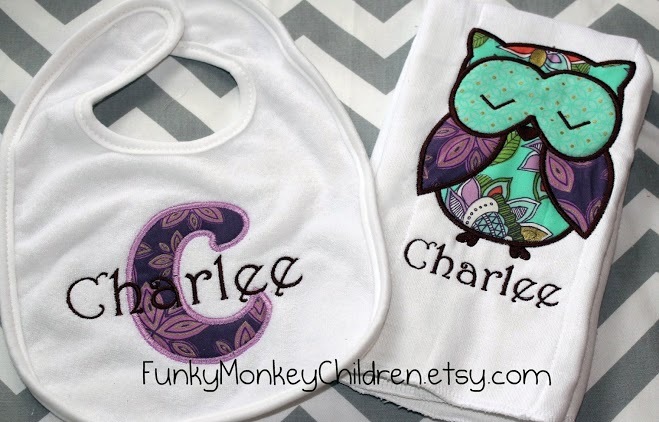 I think the personalization and customization that is available in handmade goods gives them a unique advantage over store bought items. You will never find another burp cloth exactly like the one I will make you, which cannot be said for run-of-the-mill baby store items.